Derided in his own day as a criminal, a lunatic, and a revolutionary, the Marquis de Sade (17401814) has for nearly a century been considered a classic author, championed by such figures as Simone de Beauvoir, André Breton, and Susan Sontag. 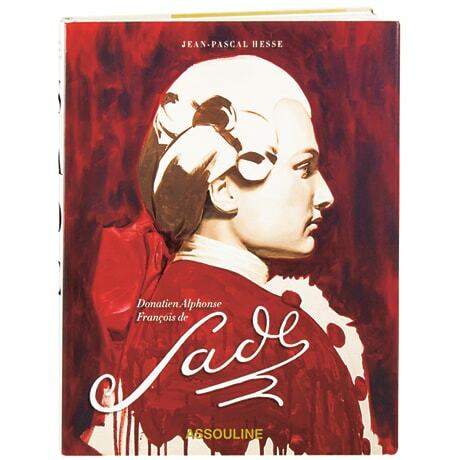 Sade's life mirrored his fiction, and in this handsomely presented biography, Jean-Pascal Hesse recounts the Frenchman's scandalous publishing career, his imprisonment in the Bastille, and the ongoing revival of interest in such novels as Justine and The 120 Days in Sodom. The more than 100 color images here include photos of original manuscripts, period illustrations, film stills, art inspired by Sade—including works by Salvador Dalí and Man Ray—and photographs of Sade's fabulously elegant chateau, lovingly restored by his modern descendants.